The remains of a teenage girl, aged between twelve and fifteen years old, were excavated with some of the finest grave goods found at the Oakington cemetery. 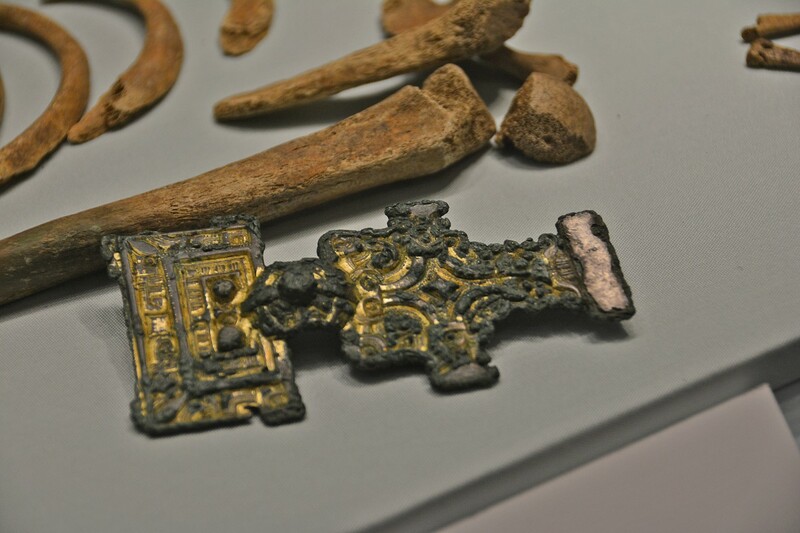 The brooch and bone pins found in her grave comprise a set of dress accessories commonly associated with adult women. Today we would not consider her an adult. Evidence suggests that the Anglo-Saxons believed otherwise. Lawcodes and grave goods found with adolescents show the transition to adulthood in this period was between the ages of twelve to fifteen. By setting aside our own preconceptions, we can enrich our understanding of the lives of children – and adults – in the past. For more information on the excavations that took place in 1994 have a look at the Cambridgeshire HER records for the excavation.